Promerac is a online business scheduling website and it provides a cost effective online business web interface for new, upcoming and small businesses. 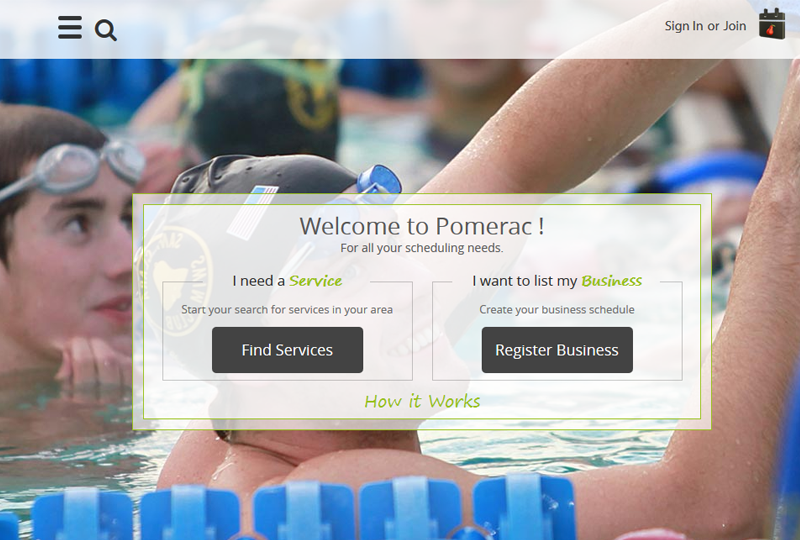 Pomerac provides a platform to schedule and accept payments for appointments as well as to promote and manage all aspects of businesses online and through our mobile applications. Promerac has two user modes as a customer and as vendor. Pomerac has chosen us for our ability to develop complex websites and providing efficient solutions with logical approach to the requirements. The website has only single version that is running successfully from the date it was released. We continue to provide expertise and services in support of Pomerac ongoing program of website development.